Note; Normally we put the newsletter out much earlier in the month. We have been holding off for news of what the results would be in our remaining litigation with the State of California. The hearing was scheduled for 12 July. More on this below. It is well established that the best way to learn how to prospect for gold is to devote some time prospecting with others who are further along in the learning curve. 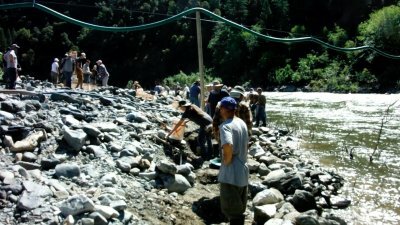 During the early years of The New 49’ers (first season was 1986), because of the extensive gold properties which we were making available to our members, we attracted a lot of people that did not have a clue about how to prospect for and locate high-grade gold deposits along our Klamath River and side-creek tributaries. 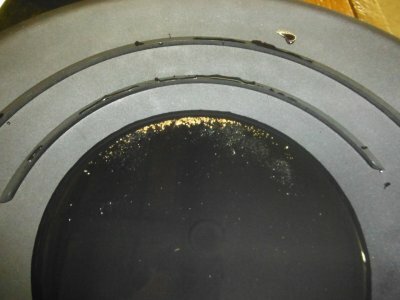 Within the first weeks of the 1986 season, most of our members were finding hardly any gold. It did not take long, and the consensus among them was either that there was never any gold on our properties in the first place, or I had already mined all the rich gold deposits, leaving our members with little or nothing to find on their own. Needless to say, this situation became a severe emergency for me in just a short time. Being brand new to dealing with a large number of people, the group perception that I had cheated them out of their money came on all at once, completely by surprise, and tested me to the core of my existence. During the early part of 1986, we had a lot of very upset New 49’ers in Happy Camp. Looking back on my life, I recognize that overcoming this was perhaps the most challenging situation I have ever had to confront. And I have been through a lot of very difficult situations! It is difficult enough to have one or a few people believing you have cheated them; but resolving the combined consensus of a hundred or so people is an overwhelming task. The truth was that, regardless of what they believed, most of our early members had no idea of how to execute a sampling plan to locate high-grade gold deposits along the waterways we were making available. Looking back now, I see that I should have anticipated this. But in 1986, all I knew was that I had a heck of a lot of people around Happy Camp that believed I was a shyster. I immediately came to the conclusion that the only way out of the problem was to put my own mining plans on hold, and use all my effort to help each member, one at a time, get into high-grade gold. Those who made the most noise and threats of legal action or violence against me were top on the list. 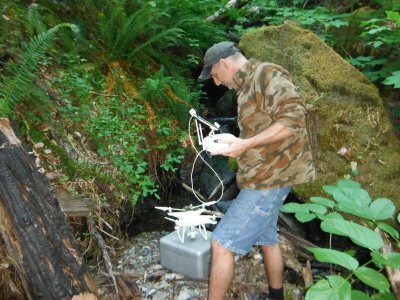 Those were very long days beginning at sunrise and ending when it was too dark to see the bottom of the Klamath River. Teaching members how to do it was not going to work during that first season. I had to show them the gold! And that’s exactly what I did for every single member who arrived in Happy Camp during 1986. There is a lot more to this story which I will not go into here. Maybe I’ll write a book about it someday. Let me just say that I made 1986 my personal challenge to keep around 100 mining programs into high-grade gold throughout the entire season. Since the beginners knew nothing about what they were supposed to look for, many of them strayed right off the high-grade shortly after I put them into it. Then I would return and move them back onto the golden target, again and again. The more gold I helped members find in those early days, the more difficult the consequences were. 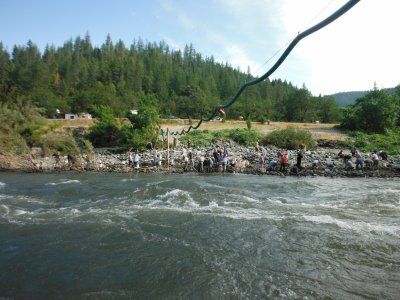 By mid-summer, some of our more aggressive, younger members were dredging as much as five or more ounces of gold off the bottom of the Klamath River every day, just using 5-inch dredges. 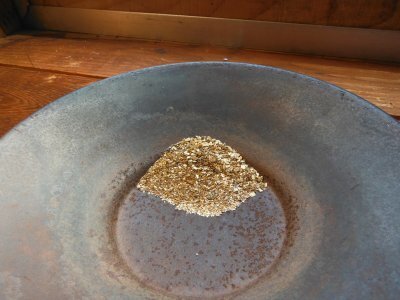 This infuriated pick & shovel miners up on the surface that were working just as hard to recover a quarter ounce of gold. The reality is that a quarter ounce of gold per day using a pick & shovel is exceptionally good. But it is disappointing compared to a five-ounce clean-up. It was normal during the 1986 season for inexperienced members to be exhilarated over the amount of gold they recovered in a single day. Only to return back to the RV park where they were staying and find out that their neighbors had recovered many times more gold on the same day. It is remarkable how fast exhilaration can turn to rage! To the beginners, it just wasn’t fair that others were finding more gold than they were. But how much gold you recover is never about fairness. It is about following an organized sampling plan to locate a high-grade deposit. Then it is about how much of the rich pay-dirt you can process in a day. Some deposits are richer than others. Suction dredges process more volume than a pick & shovel. These are just the realities. 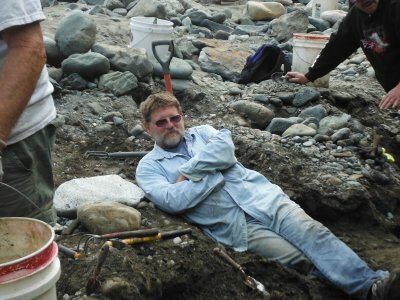 But in those days, the easiest way to get into richer gold deposits was to apply very uncomfortable pressure upon Dave Mack to go out and do it for the members. And that’s what I did for the entire season. While it was necessary for me to show our early members that there was gold to be recovered off our properties, and that I was not a con man just trying to steal their money, the strategy did nothing to teach those early members how to find their own gold deposits. And it did nothing to prepare me for a five-fold increase in membership before the beginning of our 1987 season. By May of 1987, Happy Camp was inundated with gold miners, many or most that did not know how to follow a sampling plan. Our membership jumped to 500 members as we went into our second season. All I can say is that was a lot to manage. 1987 was the season that I stopped prospecting for members and started doing weekend and week-long Group Mining Projects so that members could learn how to do it on their own. At first, there was a great deal of disappointment in this new strategy. After all, it was much easier if I did the prospecting and all of the members mined the gold. But there were too many members for me to service that way. By mid-summer, at least half our members had quit The New 49’ers. We never saw most of them again. Others who understood the potential attended our group projects and began learning how to find their own high-grade gold. Their success gave others hope; and before the end of our second season, our organization was up on its feet and running more smoothly. We have continued doing Weekend Group Projects every season now for the past 30 years. We consider these projects one of our most successful actions and one of the most valuable benefits of belonging to The New 49’ers. Our weekend projects are free to all members. 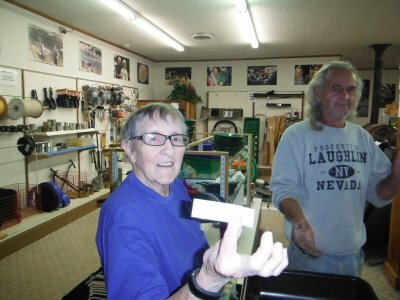 Our first Group Project of this season started out with around 66 people, including more than a dozen experienced volunteer helpers. 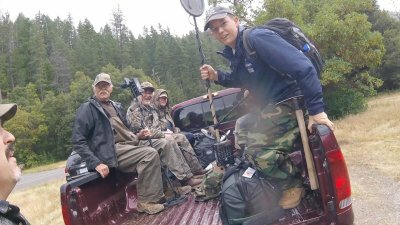 These are mostly local members who enjoy coming out and helping make the group prospecting adventures more enjoyable for everyone. 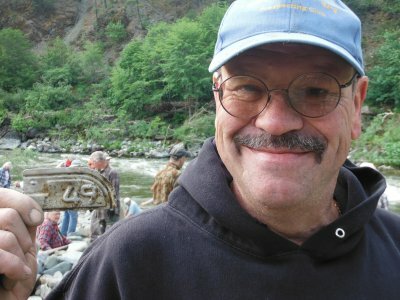 As most of you are aware, the States of California and Oregon have imposed a moratorium upon the use of mechanized equipment to support any gold prospecting program, no matter how small, within 100 yards of any active waterway. We are now challenging State authority over mining on the federal lands in front of the U.S. Supreme Court, as long as they accept the case. Without the use of motors, we have had to improvise on how to direct water through our recovery systems so that we can process enough volume of pay-dirt to make the effort worthwhile in the amount of gold we recover. There are various ways to accomplish this. If you look at last month’s newsletter, you will see that this season, we went through a herculean effort to channel water from 400 feet up a mountainside down through pipe to obtain the volume and pressure we needed, and then stretched it across the river through a pressure hose suspended by a steel cable, to deliver running water to the surface mining programs along our Wingate property which is located around 7 miles downstream of Happy Camp. 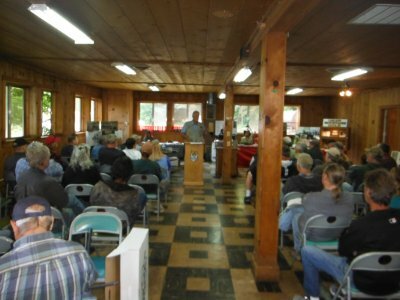 Potluck on Saturday night was a full house at the Grange Hall. There was plenty of delicious food to go around. Excitement levels almost lifted the roof off the building. Everyone was excited about the gold we were going to recover on Sunday. Sunday is all about processing as much of the high-grade pay-dirt as we can without over-working the group participants. This is rather easy to do. We can see when people are getting tuckered out when more and more of them are sitting down in the shade. No matter how disabled some people are, we can always find something productive for everyone to do. For the most part, this was a very aggressive bunch, and we probably could have operated four recovery systems to capacity. We only had set up two. 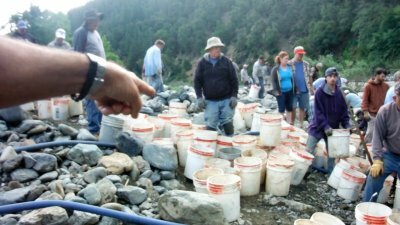 So participants probably spent as much time waiting for available buckets (to fill with more pay-dirt) as they did in actually working the gold deposit. Here is the final presentation that Alan put to music up on youtube. Is this amazing or what? We put an end to the digging at about 10:30 am. 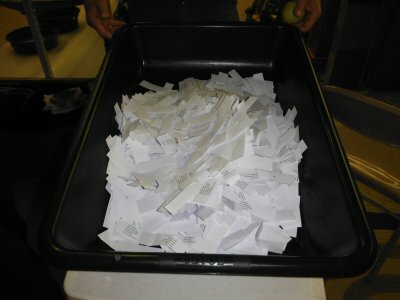 This was because there was still an hour of processing to do just to finish off all the filled buckets. After doing some final reclamation up on the bar to make sure all the deeper holes had been filled in, we cut everyone loose to go freshen up, have some lunch and meet back at the Grange Hall on Sunday afternoon for the final gold clean-up procedure and split. As we went through the final clean-up steps at the Grange a few hours later, everyone could clearly see that we had recovered a lot of what was mostly very fine gold. This was consistent with what our pan samples were turning up out of the top gravels on the day before. Ultimately, since we use no chemicals in any of our mining processes, the steps began with some wet final concentration steps outside, and then some dry screening and blowing steps inside the air-conditioned Grange Hall. As we worked the final material down closer and closer to just gold, as is normal during these events, the noise from the combined chatter of all the participants got louder, almost too loud to hear myself think. This happy noise is music to my ears. I experience personal satisfaction in organizing events that have a good outcome, that make people happy, and that provide people some hope. Comparing this with how it all started so many years ago when nearly everyone believed I was a crook, I experience an internal gratitude that is beyond my ability to express in words. Gold is the most beautiful and powerful substance in the material world. Truthfully, if you take raw or pure gold in hand and look at it closely and absorb its essence, especially under a microscope; it will trigger inside of you the feeling of true love. Owning physical gold, or having the knowledge of how to go out and recover gold when you need it, is about the closest you can come to attaining true freedom in the material world. This is because when you have gold hidden away, you are not beholden to others that you choose not to associate with, including governments which no longer serve the people. Gold is freedom! So there is more to this business of showing people how to find gold than material aspirations. We are in the business of truth and freedom. Most people who go through our group projects experience some sense of this. John is a heck of a good manager! In time, we will win our motors and suction dredges back from the totalitarian-driven officials who are in control of many State agencies for the moment (but perhaps not for long). When we do, we will truly be in a position to help make America great again. In all, we recovered 15.8 pennyweights of gold in several hours of rather light work because we were only operating two high-bankers. That’s a little more than ¾’s of an ounce, or about $900. With that, we could have thrown a big pizza and beer party for everyone involved. But instead, each of the 56 people who participated on Sunday received an equal share of what we recovered. Once again, everyone went away with a taste of freedom (gold) in their pockets. Myself and my ever-loyal helpers all went home with a sense of deep satisfaction. Electronic prospecting specialist and New 49’er member, Dennis Dickson, in concert with Whites Electronics and Armadillo Mining Supply and several local pocket gold mining specialists, sponsored a free 2-day group electronic prospecting project in Happy Camp on Friday evening & Saturday, June 9 & 10. The event was filled to capacity. Get off the couch and get out! I cannot express in words the thanks we feel to all of you that have participated in this Legal Fund-raiser. Our industry would have been long gone years ago if it were not for you guys! 12 July 2017: This morning I appeared before Judge Ochoa in San Bernardino Superior Court, for a hearing at which four issues were up for decision: (1) whether the Court should revise his summary adjudication ruling on federal preemption in light of the California Supreme Court decision; (2) whether the California Department of Fish and Game violated the California Environmental Quality Act and Administrative Procedure Act in issuing the 2012 regulations; (3) whether the Legislature violated the “one subject” rule in the California Constitution when it passed the second two bills concerning the California moratorium; and (4) whether takings claims for the regulatory taking of unpatented mining claims are impossible because the regulation makes all discoveries no longer valuable. Unfortunately, the Judge announced that he was sorry for dragging us all to San Bernardino, but he was not ready to proceed on any of the motions. He proposed rescheduling on July 24th. Unfortunately, I will be out of the country on that date, and will be undergoing a medical procedure. He then said August was not a good month for him, which would push any re-argument into September. As some of you may know, there is some consensus to attempt to delay the first and second issue to see whether the U.S. Supreme Court will grant the petition for review in the Rinehart case, but matters (3) and (4) can and should be decided as soon as possible. There was some discussion with the Judge in which he indicated that he was not prepared to wait for possible U.S. Supreme Court developments in making decisions in his Court. On that basis, my best judgment was to proceed with a telephonic hearing on July 25th (it will be at 10:00 a.m.), rather than suffer further delay into late September for an in-person hearing. 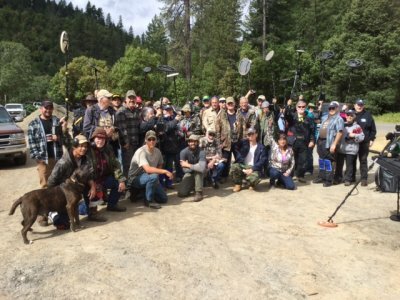 Frankly, after many, many years of litigation in the California court system to recover the simplest of civil and property rights which have been granted to us by congress, and stolen away by overzealous State authorities, all to no avail; I have little remaining faith that we will ever find real justice in California (or Oregon). These State governments have become too socialized for the good of hard working American people with traditional values; the very values which made America great in the first place. My own opinion is that as long as the Trump Administration is serious about making America great again, it will be absolutely necessary to remove the shackles holding down our natural resource industries which operate on the federal lands. Any and every economy begins with the basic building blocks of raw natural resources. Some State governments (maybe like in Montana) will welcome the federal government’s intention to dramatically reduce the bureaucratic morass of rules and regulations that have our once-great country all tied down. Other State governments (like in California and Oregon) will fight to the death to prevent development of natural resources on America’s federal lands. That’s going to put the Trump Administration and Republican congress in heated conflict with the very same extremist groups, State agencies and powerful individuals who we have been unable to defeat in the California courts. It is just a matter of time. I believe the time is coming soon. And I believe there is reason to maintain hope that Mr. Trump will be able to swiftly accomplish what we have not been able to do in the better part of a decade. Just as an example of what’s coming our way, please take a look at the statements and intentions of Ryan Zinke, former Commander of SEAL Team 6 and Governor of Montana, who is now the Interior Secretary of the United States. Just because I am on the subject, if you want to get a closer look at who Ryan Zinke is, take 4 minutes and watch this youtube video. This is not someone who wants to be a traditional American politician. This is a person who is exercising his sacred duty and the opportunity he has been presented with to help make America great again. Yes; there is reason for hope! 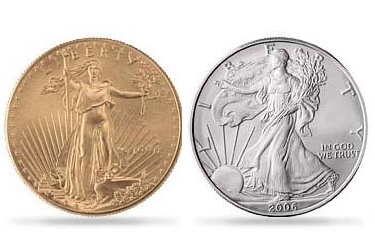 New Chance to Win American Gold & Silver Eagles! This drawing will take place at 2 pm on Friday 27 of October 2017 at our headquarters in Happy Camp. You do not need to be a member of our organization to participate. You do not need to be present to win. There is no limit to the size or frequency of your contributions, or to the number of prizes you can win. Your contribution to The New 49’er Legal Fund is tax-deductible. $10.00 each – Enter the number of tickets you wish to purchase into the quantity field then click “Update” before checking out. Our office will automatically generate a ticket in your name for every $10 legal contribution we receive ($100 would generate 10 tickets, etc). There is no limit to the size or frequency of your contributions, or to the number of prizes you can win.Your contribution to The New 49’er Legal Fund is tax-deductible. As of the first of May, our office and store in Happy Camp have been open between 9 AM and 5 PM Monday through Friday, and between 8 AM and 12 Noon on Saturdays. 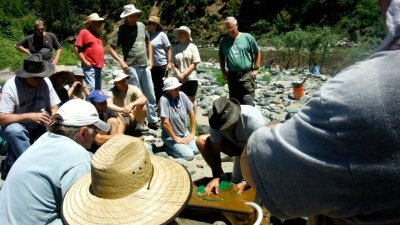 Join us for our Group Mining Projects This Season! Our 2-day Group Mining Projects are one of the primary benefits of New 49’er membership which set us apart from other mining associations. All weekend events are free to Full & Associate Members. All participants share equally in the gold we recover. 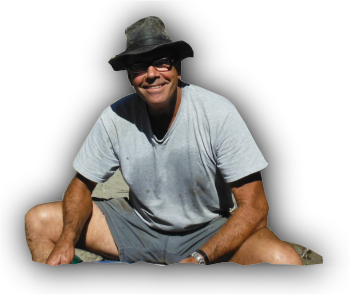 In addition, electronic prospecting specialist and New 49’er member, Dennis Dickson, in concert with Whites Electronics and Armadillo Mining Supply will host another two 2-day electronic gold prospecting project in Happy Camp on Friday & Saturday August 18 and 19. Bring your own metal detectors. Meet at our office at 4 PM on Friday. Bring your own drinks. Dinner will be served. Group projects are limited to a certain number of participants. Scheduling in advance is strongly advised to ensure a position on any specific weekend project: 530 493-2012. Important note: With the gravity flow system presented in the story above, we had hoped to power up an underwater suction device and schedule some underwater group mining projects this season. Unfortunately, the very warm summer has nearly eliminated the source of water we were using for that gravity system. There is no longer enough water power in that place to support an underwater program. Sorry about that.